Health Canada has unveiled its long-awaited updated food guide, which takes a strong departure from the most recent version created in 2007. This updated guide was conceived without the input of lobby groups or even industry-commissioned reports in order to avoid conflicts of interest: the Health Canada officials did not “want industry to decide what the final food guide would look like.” The lack of industry influence has been applauded, as it allowed for the guide to focus on what a healthy diet demands rather than what the agricultural industry currently supplies. This food guide focuses on how and what Canadians should eat to be healthy, regardless of the country’s agricultural profile. Four food groups (fruits and vegetables, grain products, dairy, and meat) have been rearranged into three: fruits and vegetables, whole grains, and protein foods. The complex measures that calculated portion sizes and daily servings, which were a powerful marketing tactic in the food industry, have been replaced with a simpler system based on proportions. The new guide encourages consumption of protein but suggests consuming plant-based protein more often than meats. The demand for plant-based proteins has been growing, as more Canadians turn towards vegan and vegetarian diets for ethical, environmental, and health reasons. Approximately 9.4% of Canadians, around 2.3 million, report following a vegan or vegetarian diet, an increase from only 900,000 Canadians in 2003. The majority of vegans and vegetarians are between the ages of 18 and 35, and most are found in urban centers of British Columbia and Ontario. Aside from the health benefits confirmed in the new guide, plant-based diets have a lower environmental footprint than those with bigger portions of red meat and dairy. With the rise of eco-consumerism, plant-based diets are increasingly popular with young Canadians, and they are a trend to which many restaurants and grocers have already adapted. The new food guide will likely reinforce this trend for future generations. While helping foster innovation and more ecological practices within the food industry, an overall culture shift towards veganism could pose a significant challenge for Canada’s agricultural industry. Health Canada’s guide eliminates entirely the milk-and-alternatives food group, encouraging Canadians to have water as the “drink of choice,” although low-fat dairy remains part of the new guide. Canada’s dairy industry has long benefited from supply management, a system which allows them to limit production to expected levels of consumption and maintain predictable and stable prices. The dairy sector was a hot topic during USMCA negotiations: the United States pushed for concessions on Canada’s 270% tariff on milk and Class 7 strategic pricing that alienated American farmers, while the lobby group Dairy Farmers of Canada pointed to their country’s trade deficit on dairy and the United States’ chronic overproduction as factors that threatened to overwhelm Canada’s domestic sector. Swing state Wisconsin, which alone produces more dairy than all of Canada, was vocal throughout the negotiations. The final deal gave the US access to approximately 3.6% of Canada’s dairy market, which Canadians have described as ‘devastating’ to the industry. When Canadians start to buy less meat and dairy in accordance with the new food guide, supply management may be brought under scrutiny once more, and farmers could be forced to reconsider the benefits of possible export markets. Canadian beef and pork producers, for example, can still look to Japanese markets as an area for potential gains thanks to the Comprehensive and Progressive Agreement for Trans-Pacific Partnership (CPTPP), Canada’s new free trade agreement with 10 other countries in the Asia-Pacific. Due to the US’s notable absence in the CPTPP, Canadian beef exports are projected to nearly double under the new deal. The CPTPP also has interim allocations that make Canadian dairy processors, rather than retailers and distributors, eligible for 80-90% of the import licenses for 2019, where a similar system, albeit with a more egalitarian allocation, was used for the import licenses for EU cheeses under CETA. Such strategies are a way to mitigate losses for the Canadian dairy industry, given estimates that nearly one-tenth of their market had been conceded in the negotiations of the CETA, CPTPP, and USMCA. However, depending on how quickly Canadians adjust their diet to Health Canada’s recommendations, the new food guide might have some implications for not only consumers and domestic producers, but current and future trade deals as well. 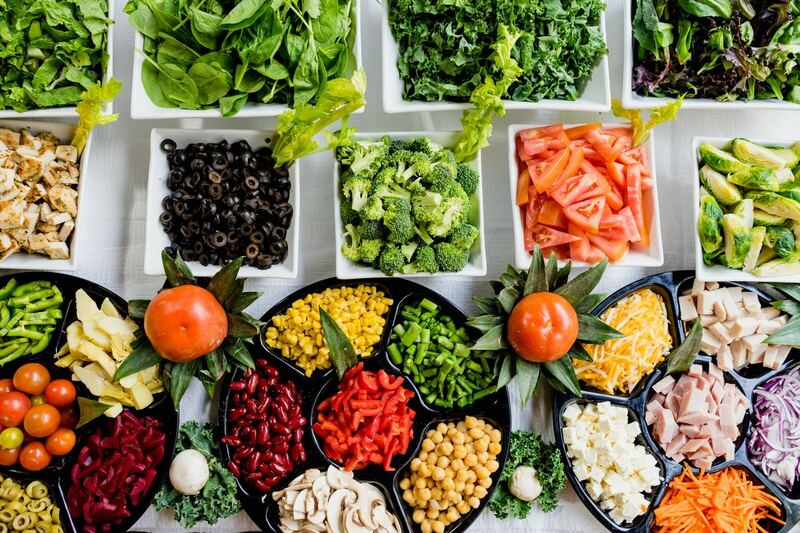 The promotion of a healthy diet is an investment in the population that improves mental and physical health and can ease the costs of future medical care. However, many Canadians can’t afford the time or money to adhere to the guide’s recommendations and already experience food insecurity. For example, Inuit populations in Nunavut experience a disproportionately high level of food insecurity compared to the rest of Canada, owing to poverty, extremely high food prices, and lack of access to traditional foods among other determinants of health. Therefore, while the health benefits of the new food guide might be substantial, for some they remain out of reach. Beyond remote and Indigenous communities, children are also at risk of being left behind when it comes to better nutrition. Canada is the only G7 country to not have a national school food program, possibly due in part to the fact that education is an area of provincial jurisdiction. For impoverished and isolated communities, releasing a new food guide will not be enough to achieve measurable benefits. The 62-page guide acknowledges these inequities and calls for collective action from all sectors to implement the guidelines. Eating breakfast or cooking dinner usually feels very removed from politics. But the reality is that the food we eat – and the food our governments encourage us to eat – has political motives and consequences. From dairy farmers to Indigenous communities to children, the impacts of food policy are vast and varied. Only time will tell what effects Canada’s new food guide has on the populations and politics of this country.